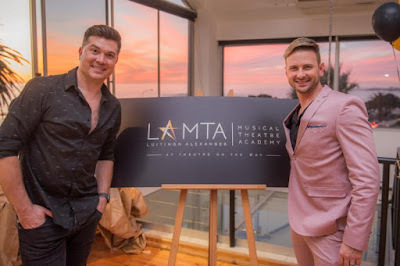 Luitingh Alexander Musical Theatre Academy (LAMTA) is a full-time tertiary Academy for the Performing Arts and is especially geared for training triple-threat performers for a career in Musical Theatre. Duane Alexander and Anton Luitingh announced the Academy in April with the support and endorsement of theatre impresario, Pieter Toerien, who has been instrumental in the development of LAMTA. A brand new additional floor on top of the beautiful Theatre on the Bay in Camps Bay will be the home of LAMTA. Renovations to the theatre began in April, 2018, and the school will open its doors to its first intake of students on January 21, 2019. Luitingh and Alexander are both performing artists who have worked on many International and local productions. For the majority of their performing careers, Luitingh and Alexander have also been the Resident Creative team on these productions, working as the Resident Director and Choreographer. Pieter Toerien says “'Theatre has been at the centre of Anton and Duane’s lives since they were teenagers, and students will be enriched by their knowledge, experience and vision. I have the utmost faith that they and their team of carefully chosen lecturers will shape future generations of actors”. They established the Musical Theatre Workshop in 2010 to provide triple-threat training to children from as young as five years old with the aim of uplifting the skill-set of children in this age group gearing them up for participation in professional productions like The Sound of Music, Annie, Evita and Priscilla Queen of the Desert amongst others. LAMTA was developed to take this training to a vocational level with aspiring performers who have finished high school. Students gain entry to LAMTA on an audition basis only, and space is limited to 12 males and 12 females per year group. LAMTA’s new home on top of the Theatre on the Bay will have six studios totalling over 400 square meters of floor space, not to mention the advantage of the intimate 350-seater theatre which hosts world class professional theatre productions year round. This will give LAMTA students the unique opportunity to not only engage with professional actors and performers on a regular basis but they will also be able to work in the theatre in a number of capacities including, box office staff, front of house staff, ushers, stage managers, dressers, lighting, sound, and follow spot operators. This will help the students develop a deep respect for their craft and for all the collaborators that make the magical world of theatre possible.